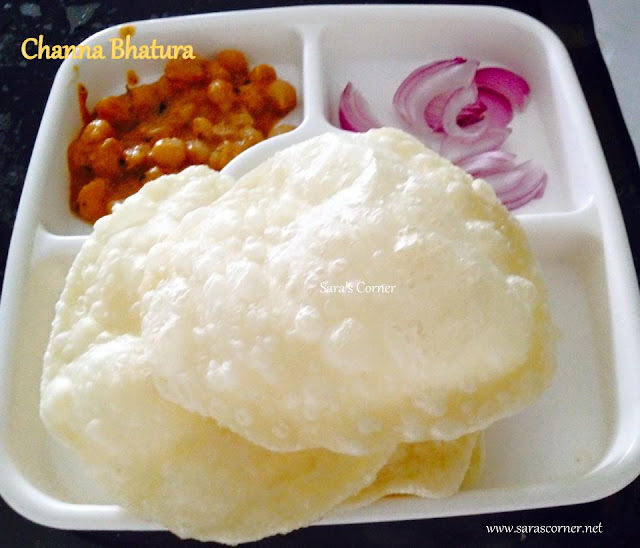 After very long time posting a recipe, checkout Bhatura recipe I prepared for a weekend as my son loves it. Whenever he goes to restaurant he will surely order this. Since my inlaws are also here, my Father inlaw also likes it. It was very tasty and crispy like restuarant. I will be posting more recipes soon. In a wide bowl/basin, add all the ingredients one by one and mix to get a soft dough. Rest it for 1 hour. close a wet towel. Note- Oil should be very hot for puris to puff up.